Oh, sorry, I’m moving too far away from the matter at hand. 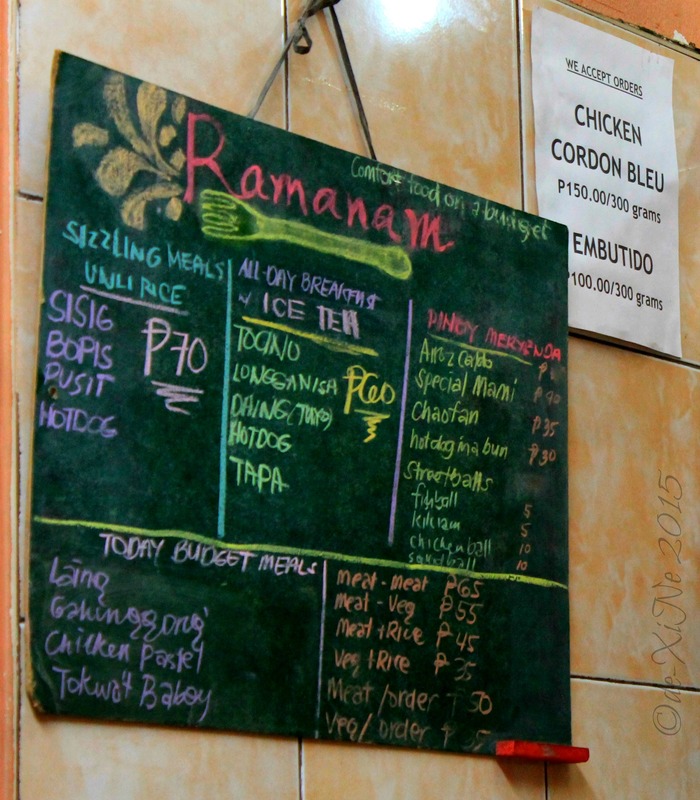 *tee hee In this post, I’m going to give you a bit of a taste (again with the Simcoe voice *hee, through visuals) of what Ramanam eatery has to offer. 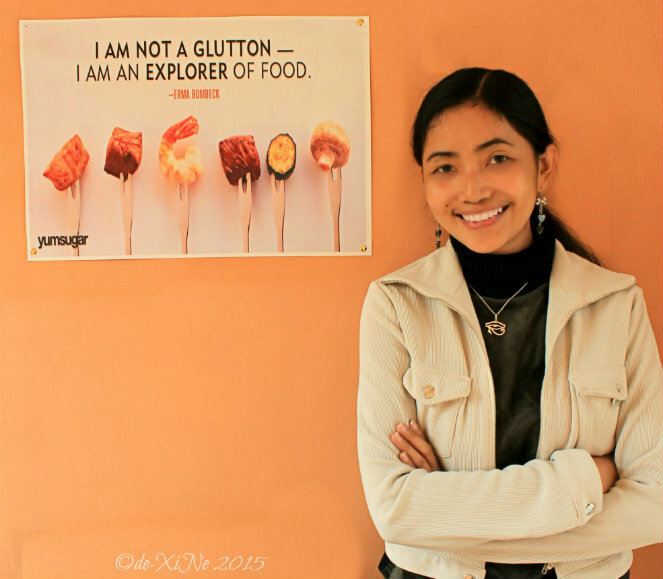 The dining area at the eatery with posters of some chefs with their most quotable quotes hanging on the wall. 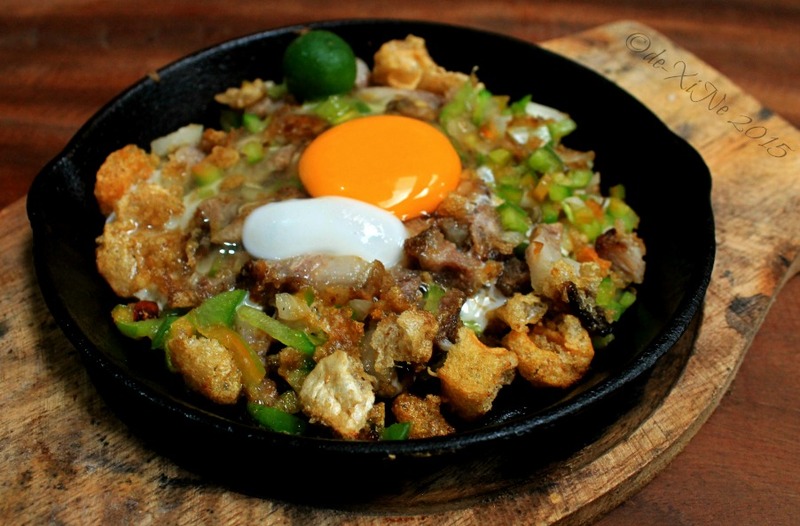 Another lunch line up of sizzling sisig, tokwa’t baboy, chicken pastel and laing. Y-U-M! 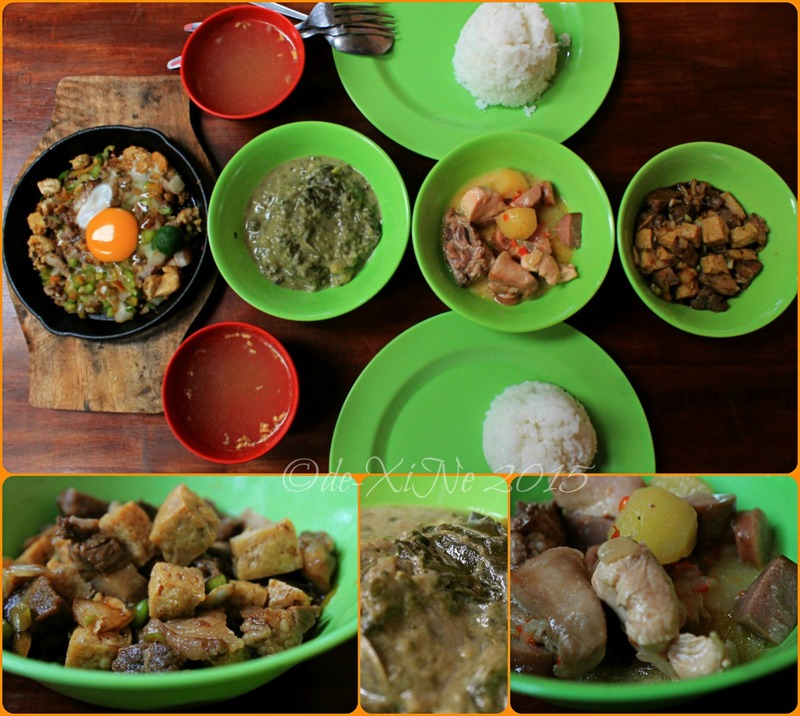 Not to mention the tasty tokwa’t baboy. 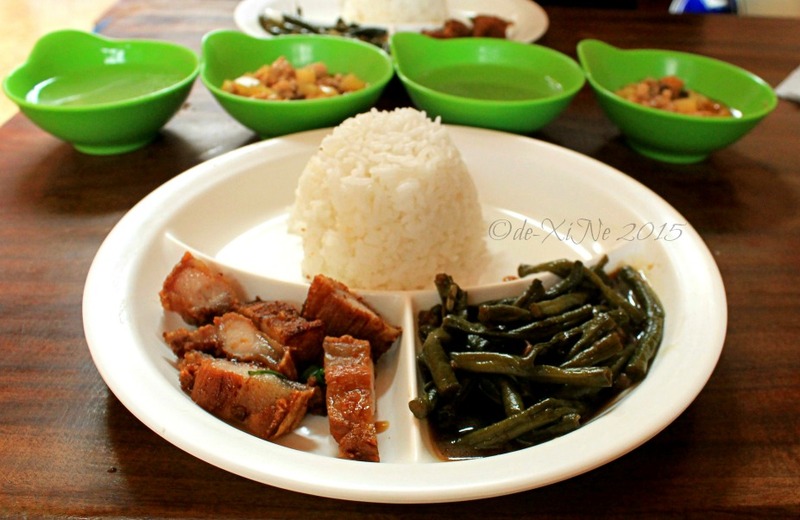 I liked the way they made their adobong sitaw, too. (“,) Lechon kawali, picadillo, chicken pastel, laing, these are just some of the pocket friendly filling eats you can get your chompers around on at the food store. There’s desserts as well. 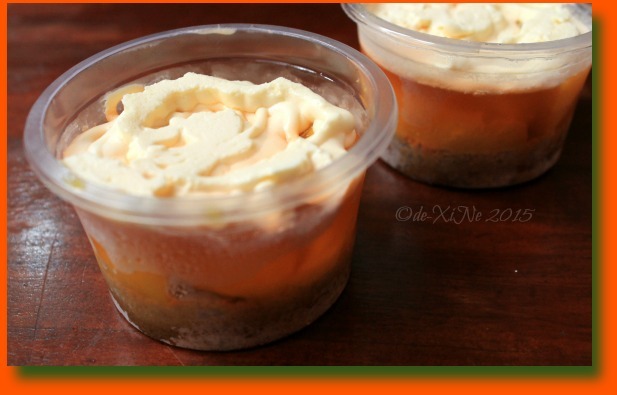 Turns out, we were too full from our entrees and rice that we took the sweet meal enders of the day, cups of mango, jelly on crushed graham crackers topped with cream, home. 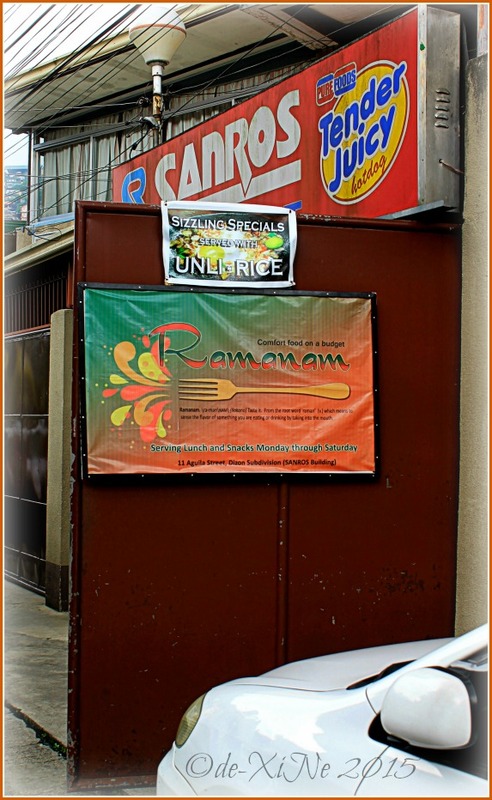 X marks Ramanam for good food in Baguio. Naramanakun, ramanan yu met. You might like it (like Race and I did \m/). 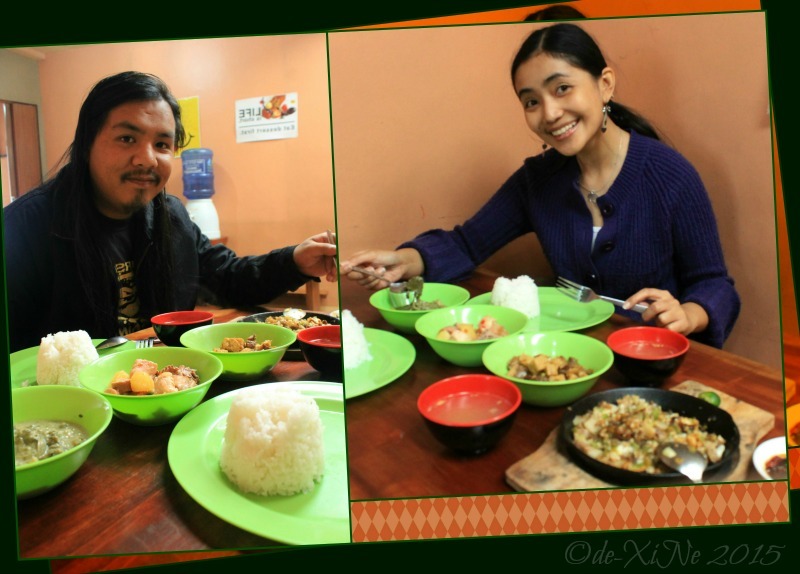 Food: Love their adobong sitaw, sizzling sisig and tokwa’t baboy.